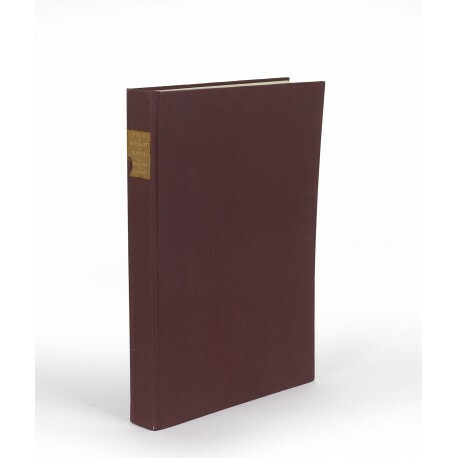 (51 × 37 cm), 312 pp., with 152 illustrations, and 50 plates (11 in colour, 6 folding). Publisher’s cloth binding. 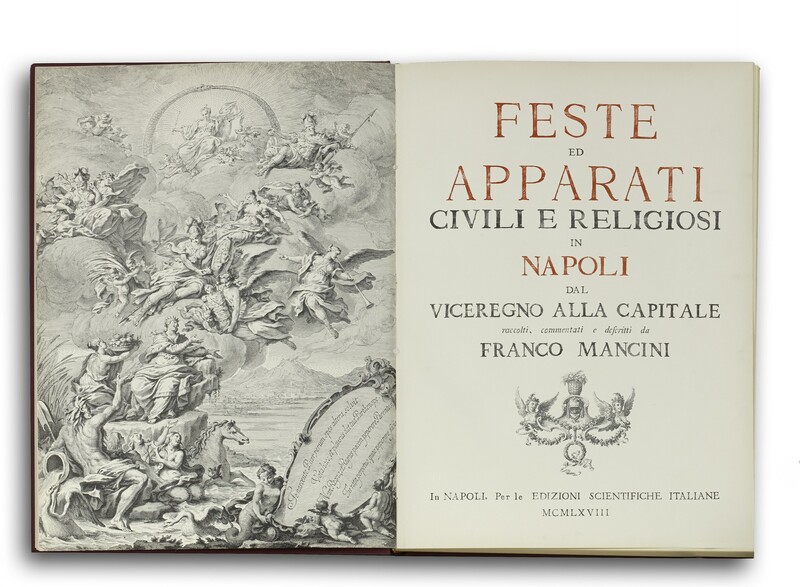 - Account of the astonishing number of celebrations in Naples, which marked feasts of the Church, carnival, weddings, birthdays, political events, and other occasions, between the end of the sixteenth century and the proclamation of Italian Unity in 1861. It does not cover stage design, which the author has covered in a previous work (Scenografia napoletana dell’età barocca, Naples 1964). “This is a very comprehensive work, essential both as a guide to Neapolitan art and as a document for the study of the history of spectacle” (from a review by Mercedes Viale Ferrero, in The Burlington Magazine, volume 113, 1971, p.341). 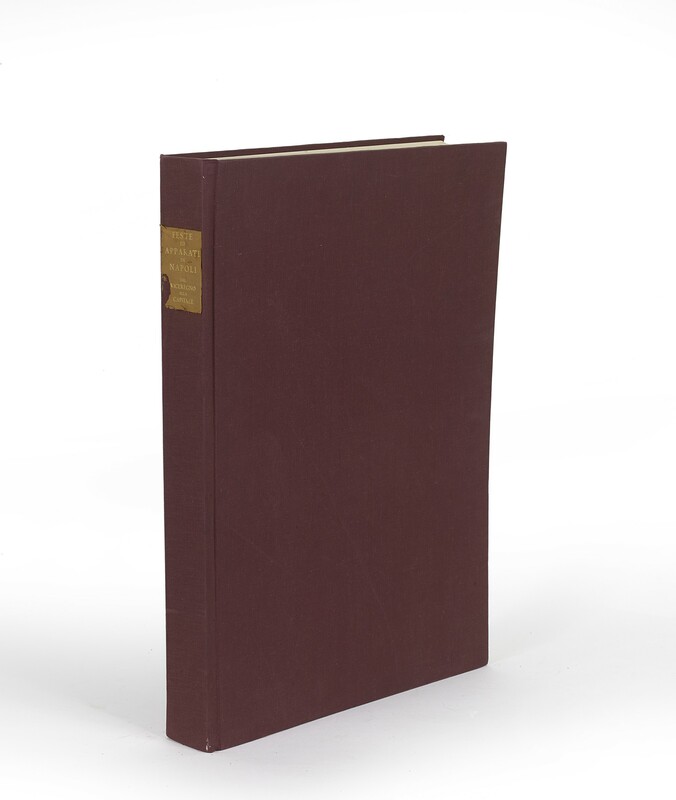 First edition of a deluxe publication, limited to 1200 copies (distributed by the Banco di Napoli, not in commerce). ¶ Leather lettering piece abraded with a small loss; otherwise an excellent copy of this huge volume, seldom found in acceptable condition.